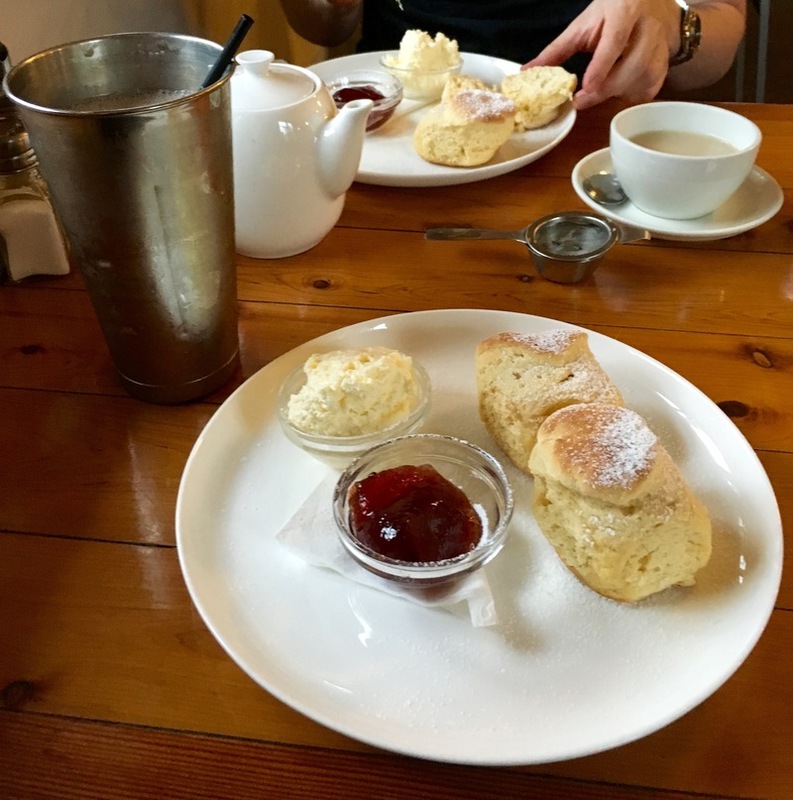 Caption: The popular scones with jam and creams. A classic for a reason. Accompanied with a traditional chocolate milkshake.